Your dog is allowed at Crows Nest Cottage. These are the reviews for Crows Nest Cottage. There are 35 reviews. We have used your company before and have aways been satisfied. The owner Adrian could not have been more helpful in every way. The original part of the cottage with it's seafaring theme was comfortable but the large conservatory and decking balcony was the icing on the cake. From the moment we arrived, we felt totally relaxed. The view from the decking was fantastic. Crow's Nest Cottage is in an excellent location. It is a lovely peaceful area with gorgeous views. The owner was available if needed and very sociable and helpful. What a little treasure! There were stunning views of the sea and the mountains which are surrounded by beautiful scenery. The cottage was very spacious and had everything you needed and more. The owner was lovely and helpful, but not intrusive. A lot of work has gone into the cottage to make it a home from home, we will hopefully be returning later this year as we enjoyed it so much. Fantastic location for peace and quiet.Ideal for star gazing or bird watching.Owner is a lovely bloke always available but never intrusive,he lives close by and is a wealth of local information.The cottage itself is very spacious,spotless and like a home from home.This is the 3rd time I've stayed and am returning later this year. I've told Adrian the owner that as soon as I win the lottery I'm taking it off his hands. Liked the peacefulness of the location and the superb views from the conservatory. We thoroughly enjoyed our stay at Crow's Nest and so did our dogs. We would definitely recommend Crow's Nest to our friends. Beautiful cottage, grounds, area and luckily for us in November, the weather! The owner was brilliant and very helpful. Our dog thoroughly enjoyed every moment and is now totally missing the cottage and especially the beach! Ah well back to reality. This was by far the most spacious cottage that we have stayed in and the outside space was excellent. The cottage owner is on site and is very helpful but gives you total privacy during your stay. We shall return I'm sure! The cottage had a lovely ambience and the conservatory extension was a favourite with us both. The cottage is ideally placed to the coast for walks on the beaches. Such a lovely location, so quiet, and the owner was fantastic, a great host. Lots of birds and wildlife to enjoy, our cocker spaniel loved chasing the rabbits. We really were sad having to leave but will return next year. If you are looking for a quiet and peaceful holiday this ticks all the boxes. An excellent location, just enough out of the way to be very quiet but still near enough to the beach and shops. A very well run and maintained property with the host being unobtrusive but always available if required. A great place to 'chill out' and I would certainly go to the cottage again. We had a wonderful holiday - special thanks to the owner who could not have been more helpful. The cottage is beautiful in a lovely setting with access to places of interest. We would definitely recommend the cottage to friends. The location and value for money are good. The Owner is excellent, very informative as to where to go and where to eat. Loved the cottage,loved the area.Could stay there full time.Adrian the owner is the perfect host.Attentive but never intrusive.Helpful and full of useful information.Cant wait to go back. 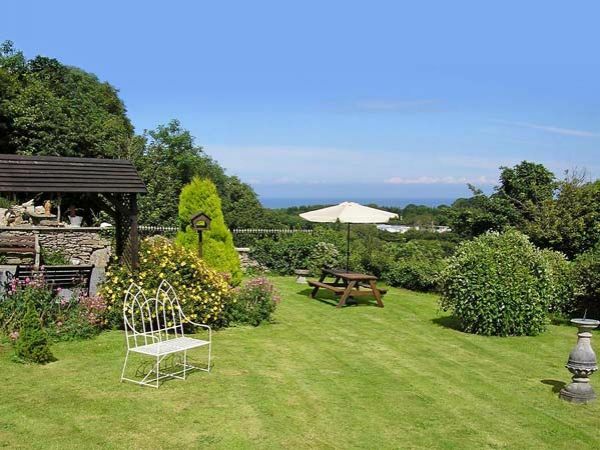 t his is a fabulous cottage, the owners are great, ideal for dogs and children, lovely views, quiet yet very close to Benloch bay and Moelfre Beach, plenty of pubs a few minutes away. Cottage has many books, games etc; the cottage is spacious, very clean and well equipped, would definitely come here again, we had three adults, twins aged seven and one dog, the patio was dog proof, even though rabbits were all around! Lovely comfortable and restful cottage. Very quiet peaceful surroundings. Not too far to the beaches, which are lovely soft sand. Beautiful forest at Newborough. Would definitely go back, however seems to be very popular, so need to book early. Very comfortable property with lots of space and an 'airy' feeling. Great views and location, and not too far off the beaten track. Will definitely be visiting again! The cottage had everything I needed including outdoor patio, gardens and patio area. The views from the conservatory and decking were amazing. The owner gave us a warm welcome on arrival and was very friendly. I would definitely consider returning to Crow's Nest cottage in the future. The cottage was beautiful and the owners had thought of everything to make the holiday perfect. We have just come back from here and have had a wonderful time. The cottage is in fitting with the surroundings and ideal for those who enjoy walking through the countryside. We took our two boxer dogs with us and they loved the outdoors almost as much as we did. The cottage has everything you'll need during your stay fridge,cooker, washing machine , iron etc. two bedrooms and power shower bathroom. The views from the conservatory and decking area are spectacular. We arel deffinately coming back here. Thank you to Adrian for your knowledge on the area and when we need your assistance. The cottage was so peaceful with lovely views. The cottage was very well stocked both with household provisions and information about the area. The owner was extremely friendly and helpful, without being intrusive. The owner made our dog very at home too! The setting and views were beautiful, we will definitely go again. The situation was good. We enjoyed the beaches with the dogs and seeing the sights of Anglesey. The welcome and the overall impression of the cottage was lovely. We liked the sun lounge and the fact that my two dogs were very welcome and we liked the safety gates, either for kids or dogs. The cottage was beautifully warm and there was an abundance of good books and games. The two TVs also was a good idea. The place was beautiful, the view from the conservatory was our favourite thing, even during rain showers it was a lovely place to sit and read or just watch the view. 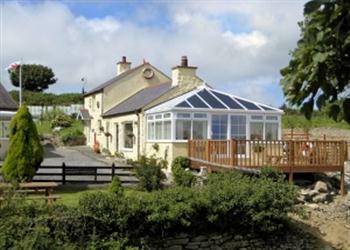 A very good location in a peaceful setting which proved to be ideal for the rest of the island. The owner was very pleasant and helpful making this an extremely good holiday for ourselves and our dogs. This cottage will be uppermost in our minds for our next visit to this lovely island. We really enjoyed our week at Crow's Nest Cottage. It felt very homely, comfy and warm. Good position for getting around the island. The owner was a very nice too! The cottage was kept lovely and warm. It was very cosy for a winter break by the sea. It is very dog friendly too. We shall revisit! Very peaceful location. Outside area very good. If you're looking for other cottages around Crows Nest Cottage, we've got some cottages below which may take your liking. There are 88 cottages within 5 miles of Crows Nest Cottage - and they have reviews too.